In the part: Koh Haa can be touched by the Diving Boat only, because of it is quite far from Phi Phi Island, the other tourist boat never continue to visit this wonderful place (The cost of fuel is quite high) The real, Haa Island is very nice for snorkeling (No need Diving) However, there are so many tourist miss the most beautiful coral reef on this point. The "Difference Time + Haa+"is tailored as the private-nomad discovering the Haa Island and Rok Island, this makes "No need to be hurry or wait." Moreover, you can chose to start or stop on the empty time (we go as the other crowded tourist group back or before they arrival time) And yes! No need to be hurry and no need to wait. At koh Haa Island, It is on the top level of shallow snorkeling. By this trip, you can stay as long as you like. And you can discovery the place by snorkeling as far as you love. All area of the place is great fro snorkeling and the pictures around the area look like the group of small island hidden by the mountain wall on the water. Koh Rock Islands Group are 2 Islands - Rock Nok and Rock Nai. The beautiful point of beaches, lands, and under the water world are difference. 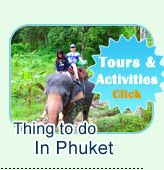 By this private trip, we stop all of those points- both at Rok Nok and Rok Nai Island. As well as the 4 point of Snorkeling both on the beach and floating in the bay, we stop to discovery. In the time, we relax on the filled white sandy beach and having lunch. This special trip is very difference for the normal very much. Jc.Tour used private minibus picks up from every hotel in Phuket, Private Speed Boat, Private Tour Guide, Private Time, and "no need to wait and no need to be hurry." The price is quite high, but 100% can make your time to be highest value - the value is over the price. 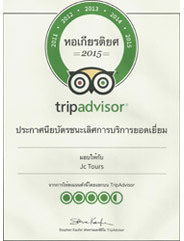 07:00 AM: The private minibus of Jc.Tour picks up from Every hotel in Phuket. Arrival the Private Zone of Jc.Tour in "Boat Lagoon Marina"
08:00 AM: Tour guide brief the program before help you to boarding: The equipment fro snorkeling was set up in the boat already. We serve hot coffee and supper box on the boat. And go, no need to wait the other. - To go to koh Haa Island, we must pass the Phi Phi Island, so the speed boat slowly sightseeing cruise, but we do not stop because of our aim is not this place. - Take a great photo of the scenery: 3 mountains in the middle and covered by the stone wall. The snail rock is standing (Look like James Bond Island) All the atmosphere is so peach and quiet. 11:30 AM: Arrival Koh Rock Nok. The boat stops here for discovery the island, walking around on the island as well as on the beach. Swimming or Relaxing on the beach is great island's atmosphere. 12:30 PM: Lunch on the beach restaurant. 13:00 PM: About this time, the speed boat leaves from the Island to do the other beautiful place for snorkeling at Siam Bay Beach of Koh Rok Nai. 14:00 PM: At the Pak-Klong Bay, we stop one more time for snorkeling, and some people can stop to relax on the beach or snorkeling from the beach. 16:00 PM: The speed boat back to Phuket, the speed boat stop at Boat Lagoon Marina. 17:30 PM: Take the showers. take the cool drinks. 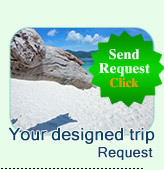 The minibus of Jc.Tour picks up and transfer back to your hotel in Phuket. Full set of Snorkeling Equipment. Soft Drinks on board: Drinking Water, Coke, Fanta and Full Big box of Ice. Lunch on the beach of the Island. Insurance as the Inbound of Jc.Tour.